Proof the Third Secret was to be released in 1960? Was to Be Released in 1960? I have a question: What year did Our Lady request that the third secret be made public? I have a booklet of Our Lady of Fatima from 1946 and there is no mention of this. Please respond. I have people telling me the apparition is a hoax. I was a youth in 1960, but I clearly remember waiting with anticipation in 1960 for the Fatima secret to be revealed. Interest in Fatima was very strong then, the devotion was flourishing, and my parents - like so many others - were anxiously waiting for the Pope to open the sealed letter and reveal to the world the message, according to the express desire of Our Lady related by Sister Lucia. Were we all being fooled? Certainly not. High authorities in the Church confirmed repeatedly that the message was to be revealed in 1960. Let me first give a little background, to be followed with testimonies taken from volume 3 of the collection The Whole Truth about Fatima: The Third Secret by Frere Michel de la Sainte Trinite. The author addresses the question whether Our Lady really requested that the secret be revealed in 1960 in Chapter IX (pp. 466-502). He demonstrates that she did so, meticulously documenting his work and providing secure sources for each quote. Most of the quotes below are from the work La Verdad sobre el Secreto de Fatima written by the Church-appointed historian of Fatima, Fr. Joaquin Alonso, who had access to special archives. In 1943 Bishop José Correia da Silva authorized Sister Lucia to write down the Third Secret during her bout with pleurisy, which threatened her life. On June 17, 1944, this document was officially placed in his hands. When Sister Lucia gave the letter to Bishop da Silva, she told him that he could read it and make it known, but he refused. Instead, he ordered the sealed document to be kept in the safe of the Episcopal curia. A picture of him with the sealed Secret was photographed by M. Pazen, a reporter from Life magazine, which published it in its January 3, 1949 issue. 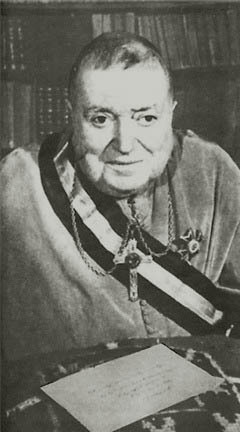 Bishop da Silva of Leiria remained caretaker of the Secret until March 1957, when it was sent to Rome, at the disposition of Pope Pius XII. On May 17, 1955, Cardinal Ottaviani, pro-prefect of the Holy Office, asked Sister Lucia about the third Secret. Later, in a conference of 1967, he stated: “The message was not to be opened before 1960. I asked Sister Lucy, ‘Why this date?’ She answered, ‘Because then it will seem clearer’” (Doc. Cath. March 19, 1967, col. 542). “Other Bishops also spoke - and with authority - about the year 1960 as the date indicated for opening the famous letter. Thus, when the then titular Bishop of Tiava and Auxiliary Bishop of Lisbon asked Lucia when the Secret was to be opened, he always received the same answer: in 1960” (in La verdad sobre el Secreto de Fatima, p. 46). 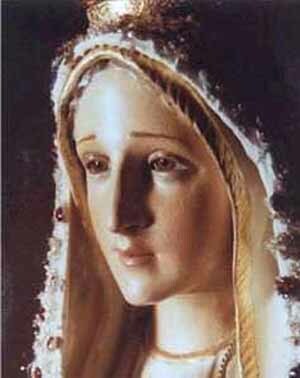 These testimonies confirm Our Lady’s desire that the final Secret be divulged in 1944 at the earliest, and in 1960 at the latest, for at that date it would become perfectly clear. The memoires of Cardinal Oddi record a conversation he had with this Pope asking him why he did not release the Secret. You can read John XXIII's response here. In another work, Cardinal Oddi affirms the secret involved Vatican Council II. Certainly, if it had been released, many persons - clergy and lay - would have been more vigilant about what was happening at this council. I hope this is of some help. Often, however, I find that solid facts do not convince persons who do not want to believe the truth.